What inspired you to be interested in this topic? A few years ago, I was teaching an undergraduate Sociology of Social Deviance course. In class one day, we were reflecting on an article we had just read and were bringing up examples of how deviant behavior can be influenced by structural or cultural factors that go beyond individual psychopathology. I brought up an example I had recently come across in Eric Schlosser’s Fast Food Nation; specifically, the notion that methamphetamine use can be a re action to social pressures for productivity within competitive Western societies. Although the idea is provocative and made for a good example, I realized that there was no empirical research that could show whether there is in fact a relationship between animal slaughter and methamphetamine use in the United States. I recruited one of my colleagues who I knew had the right skill set for this type of project: an open, critical, and creative mind, and strong analytical skills, and the project really developed from there. Were there findings that were surprising to you? We were surprised to find any support for Schlosser’s hypothesis that there is a connection between the meatpacking industry and methamphetamine use, simply because the idea is so radical and far out there. At the same time, it was surprising that the relationship did not hold when breaking down our analysis by different types of meat. This suggested to us that the relationship is more complex than we had first imagined but also made us realize that more research on this topic using different types of methods was necessary. How do you see this study influencing future research and/or practice? We would love to see additional work on this topic, and especially a project that uses qualitative methods to elaborate on why methamphetamine may be used by slaughterhouse workers. Alternatively, a study that examines methamphetamine usage prior to, and following the construction or relocation of slaughterhouses would be interesting and informative. Stay up-to-date with the latest research from Organization & Environment–sign up for email alerts through the homepage. Slaughterhouse photo attributed to benketaro (CC). This paper came out of an effort to grasp the plight of older workers in the Great Recession (as part of a grant funded by the Social Security Administration). Older workers really faced a much different labor market in 2008-2011 than they had even in other recessions – the decline of long-tenured jobs and the move away from structures like defined benefit pensions that encouraged workers and employers to stay together for a long time helped make these workers much more vulnerable than they ever had been. Their unemployment rate soared to unprecedented heights. Remember that the unemployment rate only includes workers who are actively looking for a job, and part of the reason that it never got that high for older workers in the past is that they would bail on the labor market when times got tough. This time, though, we were seeing them holding out hope for a new job, which made the unemployment rate skyrocket. So I, along with my colleagues at the Center for Retirement Research, were looking to understand what factors would encourage them to keep looking, and what factors would enable them to stop looking and just retire. Basically, this paper finds that all of the resources that could help sustain a long job search – pension wealth, Social Security (which doesn’t imply retirement), other financial wealth – instead were more likely to enable faster retirement, and the people that held out simply lacked these resources (or were still receiving unemployment benefits, which essentially requires them to keep looking). This result isn’t all that surprising; once workers reach their 50s, it’s much easier to retire than try to find a job, especially when previous studies emphasize that older workers have much more trouble finding a new job for a variety of reasons. What *was* surprising was that this decision has little to do with labor market conditions. I expected that when the unemployment rate was high, people would leave the labor force sooner, especially if they had these resources. But that was never the case, no matter how I cut the data; in some cases, it actually went the other way – a higher unemployment rate was associated with *slower* retirement, and I don’t have a good story for why that would occur (but it only seems to happen with some cuts of the data, so it might just be statistical noise). I hope this paper helps us understand a bit more what motivates jobless older individuals to keep looking for work, and come to grips with how disheartening the experience of losing your job just before retirement can be. I worry that with Social Security and pension wealth both helping people less due to financial concerns, and with a stagnant labor market for many workers, that job searches are only going to get longer – not because people are hopeful of recovering, but because their finances give them no choice. Did you enjoy the reading? Sign up for email alerts here so you never miss the newest research from ILR Review. Food choices are often habitual, which can perpetuate unhealthy behaviors; that is, selection of foods high in sodium, saturated fat, and calories. This article extends previous research by examining how marketing incentives can encourage healthy food choices. Building on research examining marketing incentives, temporal goals, and habitual behavior, this research shows that certain incentives (behavioral rewards vs. financial discounts) affect individuals with healthy and less healthy eating habits differently. A field study conducted at a corporate cafeteria and three lab studies converge on a consistent finding: The effects of marketing incentives on healthy food choice are particularly prominent for people who have less healthy eating habits. Results showed that behavioral rewards generated a 28.5% (vs. 5.5%) increase in salad sales; behavioral rewards also led to 2 pounds more weight loss for individuals with less healthy eating habits. The research offers important implications for scholars, the food industry, consumers, governments, and policy makers. You can read “McHealthy: How Marketing Incentives Influence Healthy Food Choices” from Cornell Hospitality Quarterly free for the next two weeks by clicking here. Want to stay current on all of the latest research from Cornell Hospitality Quarterly? Click here to sign up for e-alerts! Like a favorite quote that turns out not to have passed the lips of Churchill or Twain, foundational research often is honored as its interpreters see it and not as the original author presented it. That’s one premise of a new paper from the journal Human Relations that examines how secondary research, in this case on Kurt Lewin’s change management theory, has frozen out Lewin’s original insights (which appeared in the first paper in the then-new journal Human Relations in 1947, the same year Lewin would die of a heart attack). The authors –Stephen Cummings and Todd Bridgman of Victoria University of Wellington and Kenneth G. Brown of the University of Iowa – trawled through Lewin’s archives at the University of Iowa tracing the history of his famed three-step change management ideas, and found a corpus of subsequent work littered with misquotes, mis-citations, and possibly even fabrications, alongside a popularity in management textbooks and pop-management books on change management. While they focus on the misapprehension of Lewin, in the following email interview the authors discuss how this sort of myopia is surprisingly common – and often pernicious – in academe, and offer a prescription for combating it: dig deeper into the past and look at what the founders actually wrote. As Cummings told Social Science Space, “In the instance of Lewin, they would find far more thoughtful and nuanced ideas than what currently passes for best practice in change management today – ‘best practice’ that is based on overly simplistic reductions of what Lewin supposedly wrote, but didn’t — a fact not seen because nobody bothers to check. 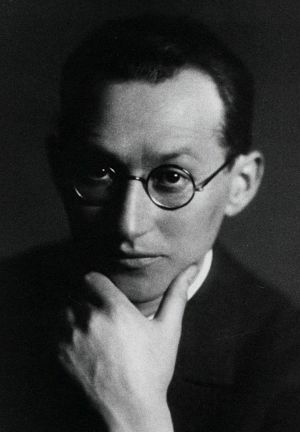 I’d like to ask you about the idea behind your article, “Unfreezing change as three steps: Rethinking Kurt Lewin’s legacy for change management,” and what you are saying about the concept of ‘attention decay.’ But I think before we discuss the general case we should address the specific case, specifically your argument that Kurt Lewin’s now-classic ‘changing as three steps’ approach to managing change has been codified, into something other than what Lewin himself wrote. We argue that a small summary statement by Lewin, buried in one of his last articles, a statement about how change could be thought of in three steps unfreezing, moving and freezing, was developed into something far more simplistic and linear (a three phase, a-b-c, one-size-fits-all framework for intervening to direct change) and grander (one of the main pillars of Lewin’s research). Over time, this became a convenient foundation for the fledgling field of change management. The notion that as great a scientist as Lewin, the ‘great experimenter’ as he was known, would have laid down this framework as a solid foundation stone is a useful one for those who sought to build change management into something important. In the 1970s and 80s management textbooks reinforced this view, formatting the ‘Three Steps of Change’ into the diagram that many people who were management students during and after this time will recall, and naming it ‘Lewin’s classical model.’ More recently, the emphasis on encouraging research outputs and the digitization of research has led to two further things that have discouraged people looking back to see what Lewin might have actually written. One, the sheer proliferation of writing on this (and any) subject makes it hard to take everything in. Second the digitization of recent research outputs makes it easier to search the ‘archives’ from one’s own terminal rather than go look at the ‘hard copies’ of older works. This leads to the notion of ‘attention decay’ that you mention in your question. It’s been shown that citation patterns in research outputs are broader (more references) but shallower (the average time between the publication of the article and the works it references is shrinking): greater immediacy but less depth, in other words. We argue that it has consequently become less likely that people would actually go back and look at primary sources, making the proliferation of misinterpretations, of the forgetting of what was originally written, more likely. If that is the case, for Lewin and for others, I might ask what’s the harm? But you suggest, apart from doing violence to the original ideas, that this could actually work against substantive innovation and might even hem in the frontiers of knowledge. Yes. We argue that this isn’t just a historical curio. We are fighting against a lazy understanding of history in our field in general, as well as fighting against how we have ignored the potential of the specific ideas that Lewin would be more likely advocating today were he alive. First, we would suggest the specific misinterpretation of Lewin may be harmful because it blinkers us from seeing the other, more substantive, insights that Lewin provided. In our article we look at the one empirical study of organization change that Lewin was heavily involved with, which has come to be known as the Harwood study. Perhaps the major conclusion from this study is that change management is more effective if it is based on plural conversations that involve those who will be affected by the change right from the outset, as opposed to a unitarist approach were change is directed by consultants, or the like, employing their model. We would argue that if change practice, following Lewin’s Harwood experiments, was more inclusive, we’d see less change fatigue and cynicism about change programs in contemporary organizations. In addition, our article goes back to the original Lewin paper from the first ever issue of Human Relations that the ‘three steps’ statement is taken out of. This article was titled “Frontiers of Group Dynamics.” It was partly a review, partly a challenge to researchers to move the field forwards. The two major challenges that Lewin laid down were to focus on ‘groups’ within organizations as the unit of analysis, rather than individual or the organization as a whole; and relatedly, to develop the application of statistical analysis to enable us to better analyze multiple variables relating to individual and group responses to change as a system. One of the reasons that we haven’t made as much progress on these challenges as we could have is that we looked beyond them and alighted and focused attention on the idea that Lewin said we should base change interventions on a three-phase model. Second, and more generally, what is the harm in mis-attributing or at least exaggerating the genesis of ideas? The harm is that it propagates simplistic understanding of the history of ideas, which makes it less likely that we can robustly assess what has gone before, debate different views and make true progress rather than just enjoy the illusion of progress. If we don’t know what Lewin really said, then how can we be challenged by it, learn from it and build on it or against it? As a corrective, I notice that you want to buck the apparent trend of academics citing lots of references that only go back a shorter time – what’s been termed attention decay by those documenting its existence — by advocating academics instead look back and dive deeper. We can adapt the popular analogy of the ‘glass ceiling’ to illustrate this point. Let’s say that attention decay in this regard creates an ‘ice floor.’ We can really only see down a little way, skate across this surface and develop variations on the ‘foundation’ we are skating across (there’s a diagram in our article that shows how recent change frameworks can be seen as just elaborations of the three stage unfreeze-change-refreeze model). The reflection makes us look pretty clever, and it justifies present ideas as advances on what feels like a solid foundation. But in justifying present ideas, this shallow view of the past makes it less likely that would we really challenge present ideas and seek new ways of operating, or substantive innovation. The prospect that the ice that change management is skating on may be thin and a bit illusory is a scary one, and we’ve already got some flak about our article by people who are challenged by it. But we’re hoping that we might promote innovation in change management by starting a conversation that thaws out that ice enough to make some people think twice. Diving deeper and reading all of Lewin’s 1947 article, for example, could provide researchers with a lot of inspiration for developing new ideas. Probably more inspiration, we would argue, than reading everything that has been written on the topic in the last three years. I’m intrigued by your concerns that digitization can in effect close pathways that it presumably might have opened. Do you expect this might self-correct as musty volumes or yellowing journals grudgingly make their way to digital formats, or is the temptation to draw from the shallowest and freshest pools too great? It’s not that digitization closes pathways. Rather, digitization makes it easier to scan large amounts of current literature and this is what researchers have tended to do with the new technology. You can understand why. Often authors are criticized for not including enough up-to-date references to other works in the field when they submit work to academic journals or PhD committees. Very seldom are they criticized for not including well-referenced quotations from many decades ago. Given that two of us are based in New Zealand and one in Iowa, it’s not that easy to visit the archives we want to see in person, so we use digital archives to scan large amounts of data and focus our searches a lot. We’d be crazy to suggest that digitization is not a great tool. It can preserve and improve access to older, hard copies of papers and correspondence. But it takes interest from users and effort and money from providers to facilitate the continued development of this. Last year we visited archives at the Stevens Institute in New Jersey and Brandeis and Harvard universities in Boston: all three hold fascinating ‘musty volumes’ and the librarians could not be more helpful. But it was a contrast. Institutions like Harvard have a great interest in to preserving and promoting their legacy and they have more money than others to do so. So digitization is to be encouraged, but there is nothing quite the same as being able to see original hard copies and we are losing these every day as libraries with limited resources look at what people are using and make resourcing decisions accordingly. Invest in the archives, or better Wi-Fi? It’s hard to make a case for the archives if people aren’t using them. We would urge people to support local libraries to both maintain and digitize their collections by using them, engaging librarians, and providing support in other ways where they can. I assume your thesis applies beyond Lewin’s case and beyond management theory, even if his academic afterlife makes a good case study. Do you have other examples where classic theories get lost? Other disciplines? We’ve written on how Max Weber is subject to convenient re-assignment in management textbooks as an old German who madly promoted bureaucracy, which he didn’t. Rather, he saw that their development fitted with mechanized times and worried about their spread in this regard. (However, an understanding of Weber’s principles of how good bureaucratic controls had many strengths, might have worked against some of the worst vestiges of the recent GFC – if people were aware of what Weber wrote about this). And John Hassard and others have done great work debunking many of the foundational myths surrounding Elton Mayo and the Hawthorne experiments. But looking more broadly, perhaps the historical misinterpretation that has had the biggest impact on our times has been the development of the myth that Adam Smith founded economics by advocating a laissez faire approach, whereby progress would come when governments get out of the way and leave the ‘invisible hand’ of the market to sort things out. Smith did examine how the division of labor led to progress in Book I of The Wealth of Nations. But much in the latter books of TWON was devoted to how governments should best intervene to protect people against the unfortunate consequences of the division of labor and free markets. But most have conveniently forgotten about those later books. And they’ve forgotten that Smith never once used the term ‘laissez faire.’ And that the term ‘the invisible hand’ was only used once by Smith in the context that it is attributed now, and it was not original. For example, it was a phrase that Daniel Defoe had his character Moll Flanders use decades earlier. And yet, the world’s most influential economics textbook, by Paul Samuelson, has told generations of students that Smith’s message is, verbatim, this: “You think you are helping the economic system by your well-meaning laws and interferences. You are not. Let be. The oil of self-interest will keep the gears working in almost miraculous fashion. No one need plan. No sovereign need rule. The market will answer all things.” Samuelson’s faux-archaic style here leads the student to believe that this is what Smith must have written. But none of these sentences are Smith’s. It’s all made up. In fact, many economists and politicians who may have been forced to read Samuelson or its equivalent often pay homage to Smith as ‘the father’ of their thinking, without ever having seen a copy of TWON, let alone reading it. This, we would argue, is the sort of shallow thinking worth continuing the fight against. Do you have hope then that your field, and others, will see researchers and theorists reaching back to the original work? Or is the ice too thick? It’s not that the ice is too thick. It’s more that if we’re only interested in looking at the past to justify current views, or seeing our present reflection looking good in the ice as it were, we’re not motivated to look down into or through that ice to really see what’s behind it. So the ice itself is not the main barrier, it’s the way we look. All it requires is a shift in emphasis from seeing the past in terms of the present, toward seeing history as a source of challenging ideas and a way of inspiring us to think differently. Young researchers, quite rightly, want to discover new knowledge. Because we tend to see history and innovation as opposites they often don’t see much value in historical research. But realizing that thinking critically about the history of ideas can in fact be a greater spur to innovation than just collating all that’s been written on a subject in the last five years, should be a great motivator. Recognizing that we forget so much about what has been previously thought about, or that great ideas get sidetracked as we focus on other things, means that there’s challenging ideas and spurs to innovation waiting to be rediscovered in the archives. Because the research itself, going back to original sources and correspondence, is not too difficult to do once your motivated to do it (it’s easier to get ethics approval, easier to ‘interview’ librarians and original sources than schedule interviews with busy business people), we are very hopeful that this stream of critical historical research, critical historical that inspires innovation in the social sciences, will grow over the next decade. Do the Changing Characteristics of Jobs Impact Job Satisfaction? Despite frequent references to “the changing nature of work,” little empirical research has investigated proposed changes in work context perceptions. To address this gap, this study uses a cross-temporal meta-analysis to examine changes in five core job characteristics (e.g., task identity, task significance, skill variety, autonomy, and feedback from the job) as well as changes in the relationship between job characteristics and job satisfaction. An additional analysis of primary data is used to examine changes in two items related to interdependence. On average, workers perceived greater levels of skill variety and autonomy since 1975 and interdependence since 1985. In contrast, the results of a supplemental meta-analysis did not support significant changes in the association between the five core job characteristics and satisfaction over time. Thus, although there is some evidence for change in job characteristics, the findings do not support a change in the value placed on enriched work. Implications for researchers and organizations navigating the modern world of work are highlighted. You can read “Placing Characteristics in Context: Cross-Temporal Meta-Analysis of Changes in Job Characteristics Since 1975” from Journal of Management free for the next two weeks by clicking here. Want to stay current on all of the latest research from Journal of Management? Click here to sign up for e-alerts! Using a case study of the Italian spirit grappa, we examine status recategorization—the vertical extension and reclassification of an entire market category. Grappa was historically a low-status product, but in the 1970s one regional distiller took steps that led to a radical break from its traditional image, so that in just over a decade high-quality grappa became an exemplar of cultured Italian lifestyle and held a market position in the same class as cognac and whisky. We use this context to articulate “theorization by allusion,” which occurs through three mechanisms: category detachment—distancing a social object from its existing category; category emulation—presenting that object so that it hints at the practices of a high-status category; and category sublimation—shifting from local, field-specific references to broader, societal-level frames. This novel theorization is particularly appropriate for explaining change from low to high status because it avoids resistance to and contestation of such change (by customers, media, and other sources) as a result of status imperatives, which may be especially strong in mature fields. Unlike prior studies that have examined the status of organizations within a category, ours foregrounds shifts in the status and social meaning of a market category itself. You can read “How Cinderella Became a Queen: Theorizing Radical Status Change” from Administrative Science Quarterly free for the next two weeks by clicking here. Want to know all about the latest research from Administrative Science Quarterly? Click here to sign up for e-alerts! Meetings and Team Management: Are traditional meetings still relevant in today’s tech-driven world? Not for nothing are so many “Dilbert” comic strips set in meetings. Notorious for wasting time, dulling motivation and draining creativity, meetings are widely seen as a necessary evil—one poll found that 46 percent of Americans prefer almost any “unpleasant activity” over a meeting. Not surprisingly, managers are trying to reinvent meetings to make them more productive and to meet the changing needs of a 21st-century economy. Technology and startup companies are experimenting with meeting formats and lengths, and some established organizations are following suit. And as staffs become more diverse, managers and researchers say meeting dynamics must include more points of view, communication styles and ways of arriving at decisions. Some experts agree that new technologies may help solve many problems associated with routine meetings. Yet others say that changing corporate culture is more important. Among the questions under debate: Is technology fundamentally changing the nature of meetings? Are planned meetings better than spontaneous meetings? Can women be heard in meetings? As the pace of business accelerates, managers are trying to reinvent meetings. Technology and startup companies are experimenting with meeting formats and lengths, and some established organizations are adopting the resulting new practices. The emergence of the flat corporate structure (i.e., few bosses overseeing an army of self-directed, self-managing staff) appears to be diametrically opposed to traditional meeting culture. And as staffs become more diverse in terms of gender, generation and ethnicity, managers and researchers say meeting dynamics must adapt to include more points of view, more styles of communication and more ways of arriving at decisions. This change is sending stress fractures through long-standing meeting culture and assumptions. From intern orientations to board of director assemblies, many meetings are happening in different ways, with different players, for different reasons. Workers typically loathe meetings because they appear to wick away the one thing no one can make more of: time. For 18 percent of Americans, a trip to the Department of Motor Vehicles is a more appealing way to spend time than attending a “status” meeting – a prototypical form of meeting in which attendees update each other on the progress of various projects, according to a survey released in 2015 by software company Clarizen. You can read the full report free for the next two weeks by clicking here. If you would like more information about SAGE Business Researcher, please click here. “Clarizen Survey: Workers Consider Status Meetings a Productivity-Killing Waste of Time,” Clarizen, Jan. 22, 2015, http://tinyurl.com/nbgpbye.